I, understand and agree that by clicking the applicable icon or button, I am agreeing to the CCC Privacy Notice and giving my full consent to Carmen Copper Corporation (CCC) and its partners and service providers, if any, to collect, store, access and/or process any personal data I may provide herein, whether manually or electronically, for the period allowed under the applicable law and regulations, for legitimate business purposes. I acknowledge that the collection and processing of my personal data is necessary for such purposes. I am aware of my right to be informed, to access, to object, to erasure or blocking, to damages, to file a complaint, to rectify and to data portability, and I understand that there are procedures, conditions and exceptions to be complied with in order to exercise or invoke such rights. Thank you for visiting our official webpage. We are Carmen Copper Corporation (CCC). 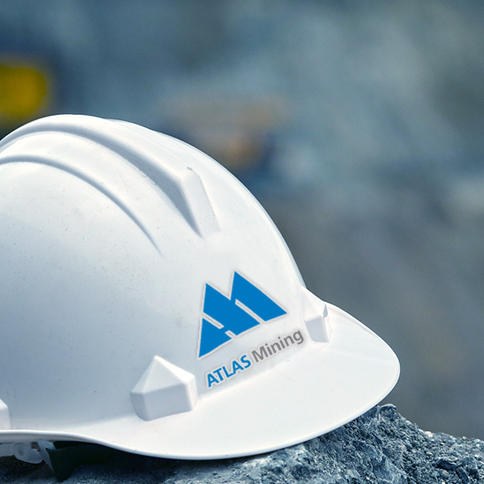 For more information on CCC, you may visit the following link: www.atlasmining.com.ph/about-us/carmen-copper-corporation. CCC respects and values your rights as a Data Subject under Data Privacy Act (DPA). CCC is committed to protecting personal information that it collects, uses and/or processes in accordance with the requirements under the DPA and IRR. For this purpose, CCC implements reasonable and appropriate security measures to maintain the confidentiality, integrity and availability of such personal information. CCC evaluates job applications or employment, responds to online queries or concerns, conduct market surveys when necessary, documents and manages its various contracts, transactions or business operations, and performs other services necessary for its legitimate business purposes (Services). Should you choose not to provide any of the above personal information, CCC may not be able to accommodate your request or perform its Services. CCC collects, uses and/or processes personal information by manual, physical, electronic or automated means. CCC collects, uses and/or processes personal information for purposes of providing better services in evaluating job applications or employment, responding to online queries or concerns, conducting market surveys, and documenting and managing transactions or business operations of CCC as well as for other legitimate business purposes (Purposes). CCC collects personal information when you provide the same manually or electronically, or at CCC’s office or online. CCC, however, may dispose or delete in a secure manner any such personal information in the event that such personal information is not, or no longer, necessary for the Purposes. Only authorized CCC personnel are granted access to personal information collected by CCC. Personal information collected via the internet or other electronic methods is stored in a secure database, while physical records of personal information are stored in locked filing cabinets. CCC uses the personal information it collects only for the abovementioned Purposes as is without further processing. If necessary, CCC may subject the personal information to additional processing before using the same for such Purposes. CCC will not share your personal information with third parties unless necessary for the abovementioned Purposes and unless you give your consent thereto. Such third parties may include CCC’s subsidiaries and affiliates as well as business partners, service providers and contractors or subcontractors. Any personal information shared with such third parties shall also be covered by the appropriate agreement to ensure that all personal information is adequately safeguarded. CCC retains the personal information it collects only for the period allowed under the applicable laws and regulations, including but not limited to the DPA and IRR. CCC shall immediately destroy or dispose in a secure manner any personal information the retention of which is no longer allowed under the said applicable laws and regulations. You are responsible for the accuracy and correctness of any personal information you provide to CCC, as well as for the consequences of disclosing your personal information to CCC and failure to provide the accurate, correct and updated personal information. You have the right to access and to correct or update the personal information, which you provided and which CCC collected and stored, in accordance with the conditions and requirements under the DPA and IRR. To access and/or correct or update such personal information, please contact the Data Protection Officer (DPO) by sending an email to dpo@carmencopper.com with your full name and the personal information you wish to access or to be corrected or updated. The DPO will contact you within the time required by the law and regulations. Where correction of personal information is not possible, the DPO shall explain the reason for refusing to make such correction. Should you wish to obtain a hardcopy or print-out of such personal information, any and all costs related thereto shall be for your own account. CCC may change this Privacy Notice from time to time by posting the updated version of the Privacy Notice. You are encouraged to visit this site frequently to stay informed about how CCC uses your personal information. To proceed click Agree button or click Exit button to exit atlas website.